Red Bull Formula 1 team Christian Horner wants to sign an extended contract with Daniel Ricciardo before the summer break now that Lewis Hamilton has unblocked the driver market. Horner had previously said that Hamilton's prolonged contract talks were stalling other teams' 2019 deals. With Mercedes having now re-signed both Hamilton and Valtteri Bottas, that door has closed for Ricciardo and Horner is now confident he can conclude a deal. "I think now that Lewis Hamilton's announcement has been made you'll see everything run pretty quickly," Horner told Autosport. "We're aiming to have things finalised by the summer break. It will be good to go into the break with everything sorted." 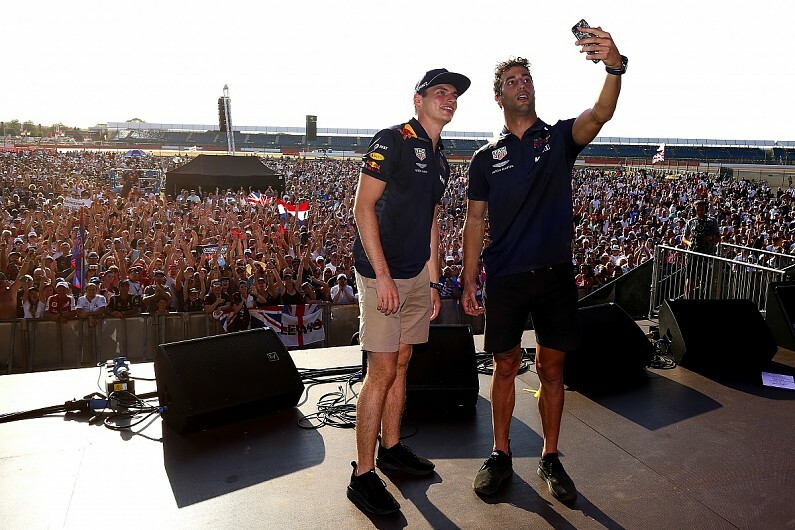 Asked if it was now just a question of money - with Ricciardo understood to be keen to be on a similar deal to team-mate Max Verstappen - Horner replied: "No, no. We've got two great drivers, and they both contribute exceptionally well to the team. "We're very keen to retain the same line-up for the future." Neither of the Mercedes drivers is committed beyond 2020, mainly because F1 will be entering a new era with revised commercial arrangements between teams and the series that are some way from being finalised. That has made it harder for teams to sign anyone for longer than two years, while drivers are wary about how the balance of power will shift between teams under new technical regulations. "Nobody's got a contract past 2020 at the moment," said Horner. "Hopefully that situation [the commercial deals] will start to get resolved in the next six to nine months." Ricciardo also suggested that a two-year deal would be most likely for him. "I think with all the changes I wouldn't want to go too long term," he said. "So yeah, not too long. Three's a lot. Maybe I'm on a beach somewhere in three." He denied Hamilton's deal would speed up his situation, saying "no, I knew he was going to sign" and insisting his own contract was "no closer than last race."